The Artful Sailor is a Whole Earth Nautical Supply that promotes and perpetuates traditional skills in the rigging, working and maintenance of sailing craft. 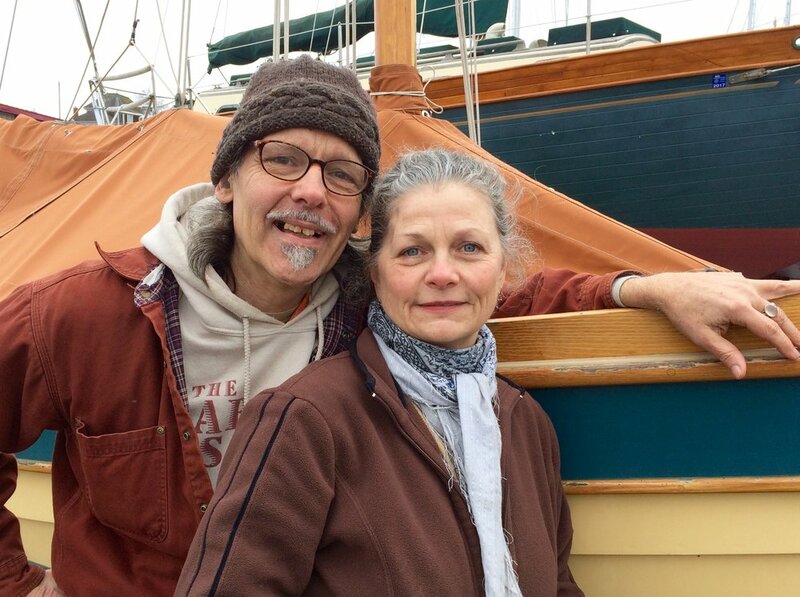 The Artful Sailor is a Whole Earth Nautical Supply that evolved from the sailing, sailmaking and nautical writing career of Emiliano Marino and was founded by Pamela-Sue Alvarado. Beginning with Marino’s 19th century, New England, family seafaring history and his childhood sailing experiences, his sail related evolution progressed to a sailmaking apprenticeship in 1974, in San Diego, CA. Over the course of time, Marino went on to establish-or be party to the establishment of-several sail lofts and write a pamphlet entitled The Sailmaker’s Dozen. Of global impact was a two-part article he wrote in 1979-80 for Woodenboat Magazine (Issues #31, #32), A Ditty Bag Apprenticeship. It was a hands-on fundamental course in traditional sailmaking techniques. Ditty bags of that design soon appeared all over the world. They are still seen and made today. A similar bent was pursued through a how-to, question and answer column entitled The Sail Doctor that Marino wrote for Small Craft Journal Magazine in the late 1980’s. That, in turn, led to the writing and 1995 publication of the authoritative and now widely known sailmaking treatise, The Sailmaker’s Apprentice: A Guide For the Self-Reliant Sailor. The book, now in print for over 20 years, features a reprise of A Ditty Bag Apprenticeship and is intended to preserve traditional sailmaking skills. Soon thereafter, Marino revived The Sail Doctor; but in Small Craft Advisor magazine, published in Port Townsend, WA. In 2016, The Sail Doctor was re-entitled The Artful Sailor and provided with a new logo. In an easygoing way, the popular column expounds on all aspects of rigging, working and maintaining small sailing craft. With the new logo and its associated T-shirt came the inspiration for Alvarado to establish The Artful Sailor as the Whole Earth Nautical Supply it is today. The Artful Sailor is located in Port Townsend, WA, a Victorian seaport with thriving maritime trades and a large sailing community. Through writing, education, consultation and products, The Artful Sailor is a Whole Earth Nautical Supply that promotes and perpetuates the seafaring traditions of frugality, self-reliance, common sense and practicality as applied to the rigging, working and maintenance of sailing craft.